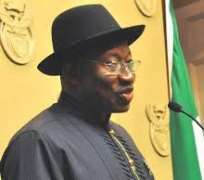 The Senate on Thursday in Abuja refused to refer President Goodluck Jonathan’s nominee for Chairman of the Federal Inland Revenue Service (FIRS) to the relevant committee for further legislative action. Jonathan had written to the senate asking that Mrs Mfon Akpan be confirmed for appointment as Chairman of FIRS in accordance with section 11 (a) of the Federal Inland Revenue (Establishment) Act 2007. Akpan was to replace Mrs Ifeko Omogui-Okaro who was the immediate past chairman of FIRS. Senator Enyinnaya Abaribe, (PDP -Abia) Chairman, Senate Committee on Information, Media and Public Affairs, explained that the implication of refusing to send the request to a committee was that, the nomination of the candidate was rejected. Abaribe said that sending the request to a committee was part of the process of confirming a candidate. He said if the senate refused to even send the request to a relevant committee to look at, it meant outright rejection of the candidate. The senate spokesman said that the only way the motion could be reconsidered, on the floor of the senate, was by another motion which must be in written form. He cited senate standing rule order 53 (6) to buttress his point. The rule says that it shall be out of order to attempt to reconsider any specific question upon which the senate has come to a conclusion during the current session. The Senate Leader, Victor Ndoma-Egba, had moved a motion that the senate refers the president’s request to the relevant committee for consideration which was seconded by Sen. Boluwaji Kunlere (LP-Ondo). Earlier, Sen. Kabir Marafa (APC-Zamfara) had opposed discussion on the confirmation of the nominee citing senate rule 45 which stipulates that 2/3 of the members must support a motion before it could be discussed. He was, however, ruled out of order by Ekweremadu. In an interview with journalists, Marafa said that there was no basis for the president to send a fresh nominee for appointment as chairman of FIRS, since the current acting chairman was doing 'very well'. “There is no basis for doing what Mr President did. The man who is currently acting as chairman of the service, Mr Kabiru Mashi, has proved his worth. 'He has almost doubled the revenue collection of FIRS during the period of his stewardship. “From less than N4 billion to over N6 billion now, what is the basis for disqualifying him, he was not even called for interview why. “If we want this country to move forward, we must learn to be just and fair. “It is wrong to bring people from abroad to lord it over people who choose to stay in Nigeria and salvage the country in spite the issue of brain drain, “he said. He said that as far as the senate was concerned, the nomination of Akpan had been rejected and that the president should forward the name of another nominee. Also speaking, Ndoma-Egba said that the appointment of Akpan was not rejected adding that it would be brought back to the senate in due course. “My motion was for the request of Mr President for the confirmation of Akpan to be referred to the appropriate committee for further legislative action. “The motion was not rejected, it was just the issue of referring it to a committee that was rejected. 'The appointment is not affected; it is just that we have not been able to refer it to a committee for further legislative action', he said. He said the motion could be represented to the senate but declined to state when. The Chairman, Senate Committee on Rules and Business, Sen. Ita Enang (PDP-Akwa-Ibom), also told journalists that the request of the president was still on the floor of the senate. Enang said what happened at plenary only showed that the senate refused to send the motion to the committee and not that the request was rejected.